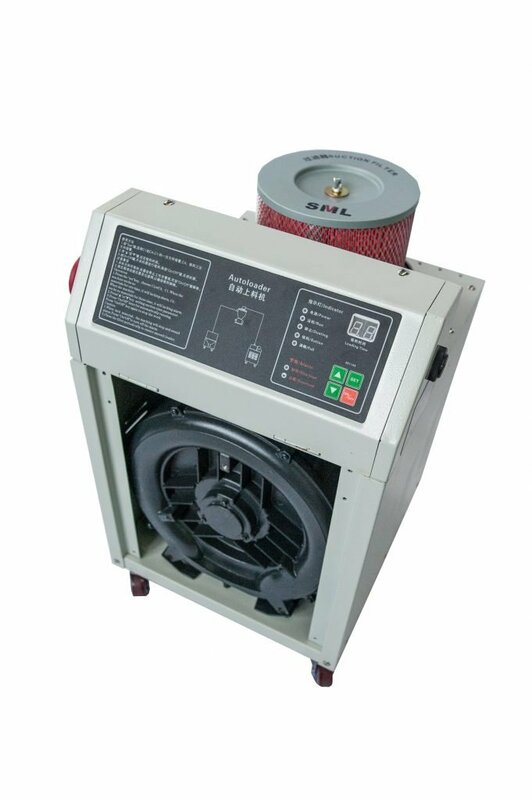 This brand new three phase loader is manufactured by Smanl to European specification. 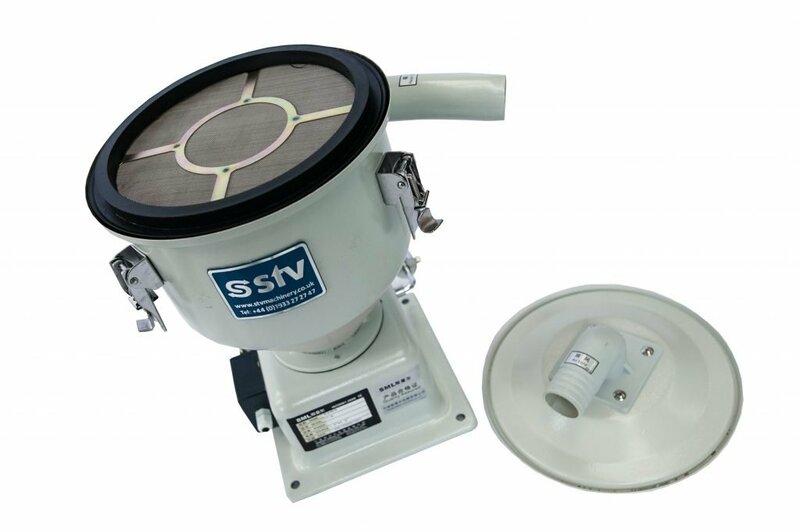 Can be supplied with an optional cyclone unit for dust extraction (@ £120.00), as well as all required hoses and a probe. The split execution design means that the heavy motor and filter unit can remain on the shop floor while the receiver is machine mounted up high, much safer than having a weighty motor on top of a machine. 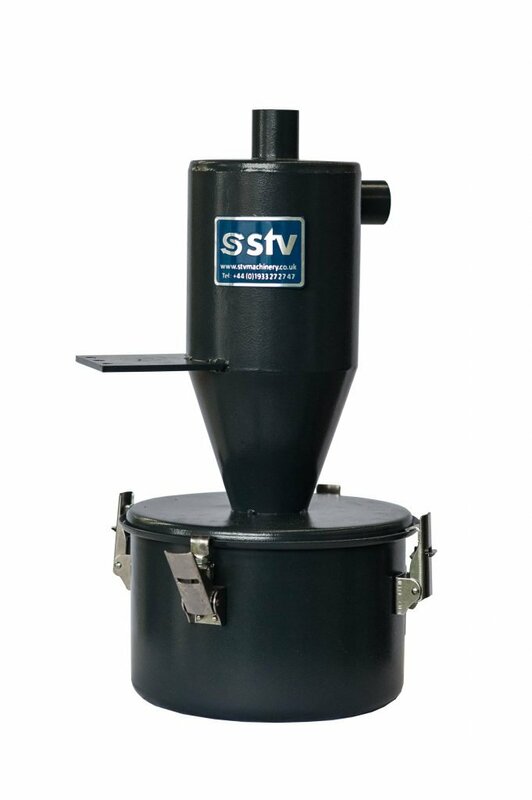 Additional features include motor overload protection and high quality stainless steel hopper. The unit can be combined with a dryer and stand to offer a portable loading/drying combo. The SAL-800 can also be combined with an optional proportioning valve for the controlled mix of virgin and re-grind material. Supplied with a 12 month parts only warranty. Please click on the datasheet link above for further technical details.